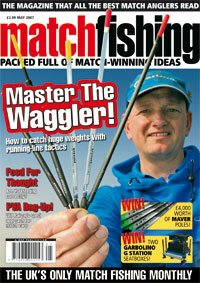 What’s in the May issue of Match Fishing? Just one year after opening, Kiveton Waters, in South Yorkshire, is proving to be a great match venue. Venue regular Andy Kinder gives his assessment on the current winning methods. Preston Innovations and sonubaits.com have teamed up with Match Fishing to answer all your questions and problems. Each month we have some fantastic prizes up for grabs too! If you’ve ever used cat meat you’ll know the problems it brings, but now there’s a substitute with all the advantages and none of the bad points! Dave Johnson checks it out… with the help of two assistants. The waggler and sweetcorn is a match-winning combination at this time of year. Coxy shows you why. 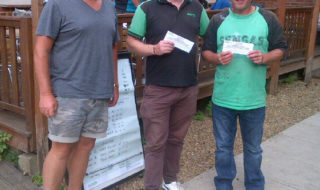 Places are going fast for the Evesham Angling Festival qualifiers. Here’s your chance to enter. The Sensas Challenge is quickly establishing itself as one of the key events in the team fishing calendar. 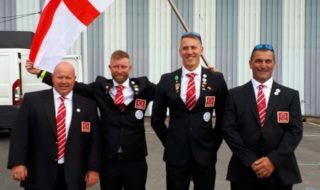 We meet England star Sean Ashby to find out why. Are you feeding your swims correctly to get the best results? Jon Arthur looks at the various ways of improving your catches. Mark Pollard takes on a towpath challenge with Lee Williams in the heart of Birmingham’s city centre! Mark Theedom moved from England to Ireland many years ago and has become a regular winner on numerous venues there since. We join up with him to discuss the fishing now… and to pick up some useful tactics. Six pages packed with all the latest tackle that’s hitting and about to hit the shops. Plus our very useful tackle company guide if you need to get in touch with any. Dave Harrell checks out the new 16m Dream Team TXL Match Carp commercial carp pole from Trabucco. Garbolino recently launched their Super G Seatboxes and they have already caused quite a stir among match anglers. Here’s your chance to win one! It’s part one of our fantastic token-collect competition, in which YOU can win one of four magnificent Maver Competition poles! The Bream Are Back In Town! A few years ago all the silver fish were taken out of Earlswood’s Engine House Lake – or were they? Kamasan Starlets’ Ian Barrow visits the venue where bream weights are winning once again. The second Fish-Off at Lindholme Lakes takes place this month. We preview the match and highlight the tactics required in order to win a place in the final. 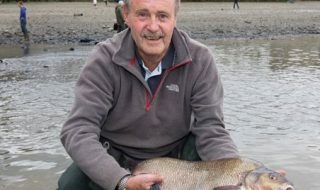 As specimen-hunting influences creep more and more into modern match fishing tactics Will Raison ponders why this should be, and shows how deadly PVA-bagged pellets are with a fish-a-chuck carp bag-up… on a day when it snowed! Are YOU in this month? And just who is that lovely lady named Polly from Luton? We all do daft things in our lives, don’t we? Some are obviously dafter than others, but how many times have you thought afterwards: “I wish I hadn’t have done that… ”. Jon reflects on a disappointing team match and asks is it time for a match fishing ‘code of conduct’?